Marketing is such a broad topic. It encompasses advertising, social media, search engine optimization, content development, email, public relations, and so much more! 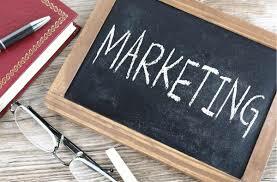 As a small business owner, you likely have many questions on creating or improving your marketing strategy. SCORE & Jeanne Rossomme are here to help. Submit your questions and join this webinar to get the information you need for your business. We’ll address as many questions as possible in this one hour session. All attendees will receive the Small Business Marketing Plan Guide.